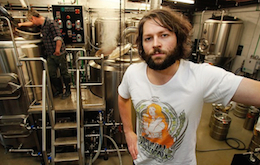 The Garage Project is a brewery craftily combining hops, yeast and water with a hefty dollop of marketing nous – last year alone they produced 36 new beers. Original generation time 3.9323 seconds. Cache Loaded in: 0.0375 seconds.